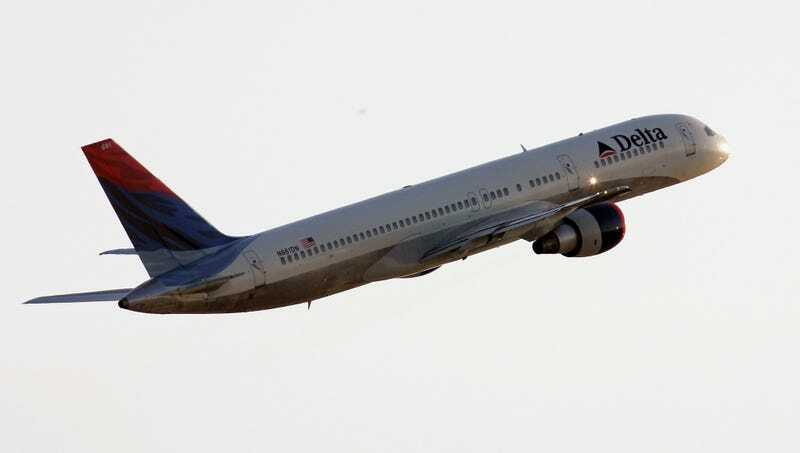 ATLANTA—Taking a cue from the airline’s recent decision to cut business ties with the National Rifle Association, Delta pilot Jim Dettro is currently in a holding pattern above Hartsfield-Jackson airport and is refusing to land until meaningful gun control laws are passed. “Folks, this is your captain speaking. We apologize for the inconvenience, but Flight 2567 from Wichita won’t be arriving at the gate anytime soon unless America starts implementing some basic common-sense restrictions on the sale of firearms,” said Dettro in a brief statement to passengers in which he explained that clearance from ATL tower would in effect have to come from Washington first and meanwhile thanked passengers for their patience during a legislative delay that has already stretched on for far too many years. “For your safety, I’ll be leaving the seatbelt light on until conditions on the ground improve to the point where our country’s unusually lax firearms regulations are strengthened enough to stem the tide of deadly mass shootings, so we may be up here for a while. In the meantime, if you look to your left, you can see the Georgia state capitol building, where spineless legislators in thrall to the NRA are playing chicken with your children’s lives.” At press time, Dettro had announced that flight attendants would soon be passing through the cabin distributing bottles of water, which are subject to hundreds more regulations regarding their manufacture and sale than AR-15 semiautomatic rifles.